Jsamwrites added a comment to T186161: What to do if the WDQS does not synchronise with Wikibase?. Hi, I am having the same issue. I installed the Wikibase and created new properties and items. But I am unable to query them and they do not appear in the query results. Is there any resolution to this problem? Aklapper awarded T198552: Vandalism on Phabricator: Undo changes made (2018-07-01) a Yellow Medal token. srishakatux awarded T198552: Vandalism on Phabricator: Undo changes made (2018-07-01) a Barnstar token. Dinoguy1000 awarded T198552: Vandalism on Phabricator: Undo changes made (2018-07-01) a Yellow Medal token. Kaartic awarded T198552: Vandalism on Phabricator: Undo changes made (2018-07-01) a Barnstar token. Krenair awarded T198552: Vandalism on Phabricator: Undo changes made (2018-07-01) a Barnstar token. • MarcoAurelio awarded T198552: Vandalism on Phabricator: Undo changes made (2018-07-01) a Yellow Medal token. Vachovec1 awarded T198552: Vandalism on Phabricator: Undo changes made (2018-07-01) a Barnstar token. 1233thehongkonger awarded T198552: Vandalism on Phabricator: Undo changes made (2018-07-01) a Burninate token. matej_suchanek awarded T198552: Vandalism on Phabricator: Undo changes made (2018-07-01) a Barnstar token. Rachmat04 awarded T198552: Vandalism on Phabricator: Undo changes made (2018-07-01) a Cup of Joe token. phuedx awarded T198552: Vandalism on Phabricator: Undo changes made (2018-07-01) a Barnstar token. Liuxinyu970226 awarded T198552: Vandalism on Phabricator: Undo changes made (2018-07-01) a Barnstar token. Dalba awarded T198552: Vandalism on Phabricator: Undo changes made (2018-07-01) a Barnstar token. deryckchan awarded T198552: Vandalism on Phabricator: Undo changes made (2018-07-01) a Barnstar token. rafidaslam awarded T198552: Vandalism on Phabricator: Undo changes made (2018-07-01) a Barnstar token. ToBeFree awarded T198552: Vandalism on Phabricator: Undo changes made (2018-07-01) a Barnstar token. Ciencia_Al_Poder awarded T198552: Vandalism on Phabricator: Undo changes made (2018-07-01) a Barnstar token. RichSmith awarded T198552: Vandalism on Phabricator: Undo changes made (2018-07-01) a Barnstar token. Jsamwrites updated the task description for T195197: Introducing the WikiProvenance tool. Jsamwrites closed T195197: Introducing the WikiProvenance tool as Resolved. Jsamwrites closed T195036: Introducing the WDProp tool as Resolved. Jsamwrites added a comment to T198552: Vandalism on Phabricator: Undo changes made (2018-07-01). Reverting is currently already being performed. Jsamwrites triaged T198552: Vandalism on Phabricator: Undo changes made (2018-07-01) as High priority. Jsamwrites created T198552: Vandalism on Phabricator: Undo changes made (2018-07-01). Jsamwrites created T195197: Introducing the WikiProvenance tool. Jsamwrites created T195036: Introducing the WDProp tool. Jsamwrites added a comment to T165868: Wikidata and Infobox. Jsamwrites moved T165868: Wikidata and Infobox from Backlog to Skill Share on the Wikimedia-Hackathon-2017 board. Jsamwrites added a project to T165868: Wikidata and Infobox: Wikimedia-Hackathon-2017. Jsamwrites created T165868: Wikidata and Infobox. 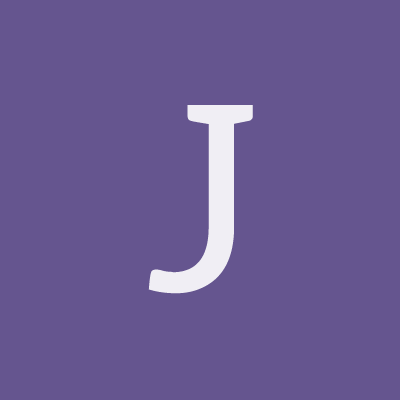 Jsamwrites added a member for SDC General: Jsamwrites. Jsamwrites added a member for Wikidata: Jsamwrites.